Nowadays, adventure tourism is one of the most sought-after alternatives for those who want to divert from the usual holidays and indulge in the great outdoors. 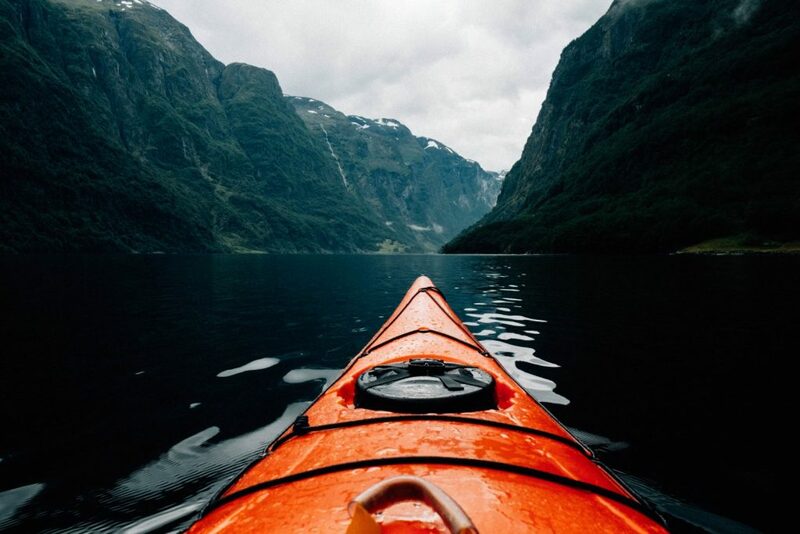 Oftentimes, adventure tourism is also linked to ecotourism, nature tourism, and active tourism; to abandon the traditional model of “tourist” and experience new places in a different way. In the United States, the exploration of outdoor routes and action sports are some of the most effective ways for tourism to be both the protagonist of remarkable and adrenaline-filled experiences, as well as enrich the relationships between visitors and locals. Needless to say, in such a vast territory the possibilities of adventure tourism are numerous. In more than 9 million square kilometers, travellers can choose from mountains, rivers, lakes, seas, ice, forests, etc. Plus, with a climate as versatile as its geography, the options end up being so diverse that one does not know which one to choose when searching for adventure destinations for the next vacation. In Alaska, visitors are invited to explore the vast wilderness by land, water, and air: biking through poplar forests; rafting down the rapids; hiking around glaciers; flying over magnificent National Parks that extend as far as the eye can see. Another form of adventure tourism in Alaska is to take a cruise across the blue waters of Glacier Bay and witness the impressive glacial landscape and wildlife. As with most parts of the region, the vibrant spirit of such natural beauty bewilders travellers, who can’t help but let themselves be enchanted. For those who are really up for a dose of adrenaline, it is worth exploring the various mountain bike tracks around Alaska. Although cycling in the territory is a challenge – with long distances, hills and winding routes – it is well worth the effort. Regardless of what you choose to do, Alaska is an unforgettable adventure destination for solo travellers, groups of friends or with the family. This state in the northeast of the US is blessed by an abundance of natural beauties: rocky shores, lakes, mountains, rivers, islands, forests and beaches. As one of the main adventure attractions in Maine, the Acadia National Park allows you to climb mountains, cycle by the meadows, and stroll on pristine beaches, all in the same day. In Deer Isle, you can visit the fishing villages where seals, butterflies, and whales find refuge. This archipelago is made up of more than 60 islands that can be traveled by kayak or eating fresh lobster onboard a cruise that runs through the area. Overall, the diverse and unique landscape of Maine creates an outdoor amusement park for children and adults alike. In Montana, the Waterton Lakes National Park is a popular destination to enjoy valleys covered with wildflowers with lakes in the background and a rich vegetation that extends to the horizon. As you move upwards towards the mountains, a series of glaciers come to life, waiting to be explored through its trails that feature amazing viewpoints. Go on a walk or bike ride on the mountain roads through crystal clear waterfalls, lakes, and meadows while surrounded by trimmed peaks – this is an experience you cannot forget. Aside from the mountain activities, it is also possible to hike along the Canadian border and even enjoy a cruise that runs around the park, or, if weather permitting, go swimming, boating, or rafting. Thus, if you are a nature lover with a thirst for adrenaline, a visit to Waterton Lakes will leave you speechless. New Mexico is a land of contrasts, where forests and green arid mountains surround sophisticated cities and small rural villages. As a tapestry of colors, these elements are woven together beautifully, attracting artists and travelers from around the world. In Taos, it is possible to explore traditional villages that feature small galleries where the work of talented local artists is exhibited. For adventure tourism, you should get a taste of the desert by walking through ruins or stop in Santa Fe where the native culture and the landscape are reflected in the city’s architecture and crafts. Another interesting place worth the visit is the small village of Chimayó, which was established in 1680 and features a sanctuary that is believed to have miraculous healing powers. New Mexico still retains the fascinating culture of American, Spanish, and Mexican Indians, which makes it the ideal destination for those who seek both adventure and to learn about the people and their traditions. One of the most sought-after adventure destinations in Arizona is the Bryce Canyon National Park – where erosion has carved out extravagant rock formations and fluvial canyons creating a great desert that extends as far as the eyes can see. When going on a hike, the extensive network of trails allows for panoramic views of the valley all the way to the Grand Canyon and the cliffs of Zion. Meanwhile, in St. George, it is possible to take the adventure one step further and go climbing on sheer rock formations that face daunting abysses.